Expect mid-day highs to reach 90 with east winds at five to 10 mph. After some early sunshine, showers and storms return to the weather pattern in the afternoon. Clouds will build as the sea breeze punches in the afternoon, triggering some needed rainfall across South Florida. The chance for storms will be higher in the Keys throughout the afternoon and evening. Expect mid-day highs to reach 90 with east winds at five to 10 mph. Skies will become partly cloudy at night as lows drop to 79. 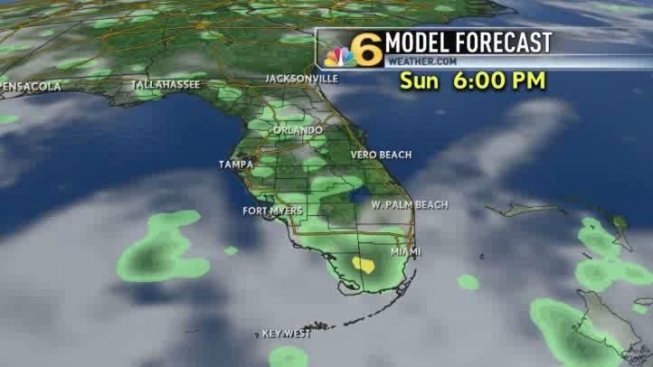 There may be some overnight coastal showers, followed by early-morning showers for Monday. By Monday afternoon most thunderstorms will shift to the West coast and we’ll get back to partly cloudy skies with highs around 89. Come mid-week, expect afternoon storms to be fairly commonplace as a normal “summertime” pattern sets-up for a few days across South Florida.